The 2019 Acura TLX not only offers Niles drivers a winning combination of luxury and high-performance, it also comes loaded with all of the smart technology features you need to stay connected, informed, and safe. These sophisticated tech features are designed for ease of use and will enhance your driving experience, whether you’re running a local errand or heading out on an epic road trip. On Demand Multi-Use Display 2.0 – The redesigned ODMD™ offers clearer displays and responds 30% faster than the previous system. This easy to use 8-inch touchscreen provides intuitive controls and information for your phone, audio sources, climate control, and more. 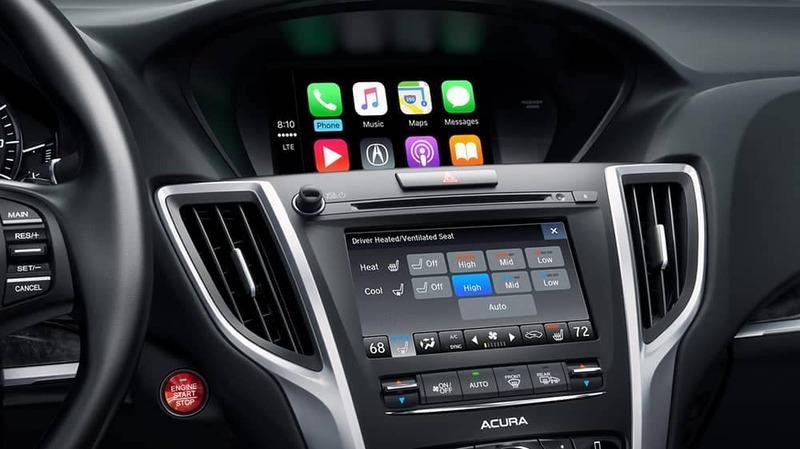 Smartphone Integration – Standard Apple CarPlay™ and Android Auto™ provide Oak Park drivers access to a wide range of digital resources. Send and receive email, get directions, listen to your favorite tunes, and use all the apps you need to keep connected, informed, and entertained wherever your drive. Wireless Charger – The available Qi-compatible wireless charging system allows you to effortlessly keep your smartphone powered up, adding an extra level of convenience. Surround View Camera – When you choose the Advance Package you get a Surround View Camera system that features 6 individual camera views, making even the most challenging parking situation a breeze. AcuraWatch – Standard in all new TLX models, the AcuraWatch suite of advanced safety and driver assistance features include a blind spot Information system, rear cross traffic monitor, and front and rear parking sensors. Tech-savvy drivers who want only the best available technology features will want to choose the Acura TLX with Technology Package. Song by Voice allows you to play music through simple voice commands, and the 10-speaker surround sound ELS Studio Premium Audio system provides enhanced clarity, low distortion, and extended frequency range. Acura’s voice-activated navigation system includes real-time traffic conditions, 3D maps, and turn-by-turn directions. In addition, the latest version of AcuraLink provides smartphone integration as well as allowing you to lock or unlock the doors, access the navigation system, and send out an emergency notification if an airbag is deployed. The TLX Technology Package keeps you both connected and safe. Learn more about the new Acura TLX interior and performance specs, and see how it compares to the Audi A4. 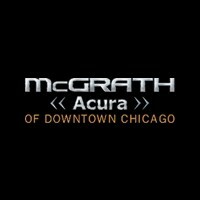 Take a look at the available trim levels then schedule a test drive at McGrath Acura of Downtown Chicago today!